The ideal gift choice for anybody with a weakness for all things savoury. Four delicious cheeses are accompanied by a full-bodied Cabernet Sauvignon, cranberry and raisin crispy toast and a jar of Christmas chutney. 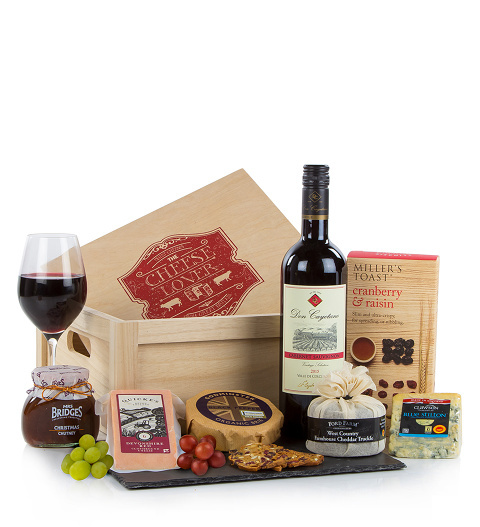 A beautifully presented gift packed full of outstanding quality, artisan produce.